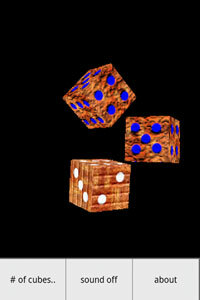 Roll up to 6 3D dices. To start rolling just touch&push to the direction you like. I play it with my kids when we do board games and to bet with my friends. Check my site to see it in action.